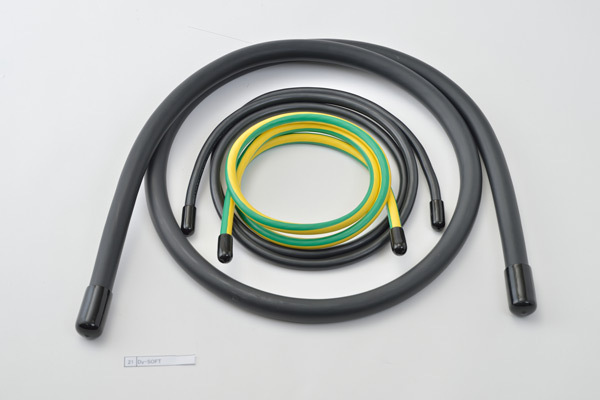 High flexibility, heat-resistant insulated wire for easy manipulation into tight spaces. Dy-SOFT is suitable for use as machinery wiring. Dy-SOFT can be utilized in an array of equipment for a range of industries. PVC insulation is DOP free and RoHS adapted. *Current Capacity for the conductor temperature of 105°C. In air at 40°C. 1core. Customization available (wire color, size, conductor construction). PVC insulation developed for Dy-SOFT. You can choose current rating tailored to use conditions. (Elongation 100% at heat-degradation).